When you've completed your bathroom remodeling project, you may start to think about a few bathroom accessories that can add your own personal touch to the room. Your washroom's lighting scheme can alter the room's atmosphere dramatically, but instead of replacing larger fixtures, try utilizing LED lights to add additional ambiance to your space. 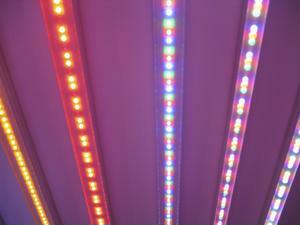 LED lights come in a variety of designs that other bulbs simply can't match. One style that has gained particular traction in interior design circles are strip lights. These flexible fixtures come in assorted colors and can be affixed to any flat surface. One way to use these lights in your bathroom is to mount them behind your mirror. This backsplash of light will add an intriguing touch to your bathroom's aesthetic and you can find a complementary color to suit your design. You can also use them on the underside of cabinets to create an attractive aura. LEDs are one of many quick and easy additions that will add decorative flair to your space. What lighting tips do you have for homeowners redesigning their bathrooms?